Love the Ann Flats in taupe and black. Perfect for the office, I need to start wearing flats more often to take better care of my feet!! I couldn't decide, so I pinned both the Elf style and the Ann in taupe and black! Oh my this are awesome!!! I love them! I've liked Elf on FB! I also liked their facebook page! Thanks! The "Sanctum" purse, super cute! I like Elf on Facebook. These are so amazingly pretty! Love the Elf shoes in Taupe. . . I also liked Elf on Facebook. And I pinned Carina - what a great sandal! These are so cute! I really love the olive color. Why have I not heard of these before?? I'm a wedding photographer and I'm always on the hunt for cute, comfortable flats I can wear while working. These are adorable!! I would love to win a pair in black. Just posted about it on FB! Here's my pin! LOVE these! I did a status update on FB about the giveaway! Love all of their things! The Ann flats would be PERFECT for work... Love these. I like ELF on Facebook! Oh how cute! Love the Ann flats. I was lusting after these the other day! Liked Elf on Facebook and also pinned these http://pinterest.com/pin/78250112246026457/. Tried to buy a pair with the discount code DELIGHTED and it doesn't recognize the code! And mentioned on my very new to the world blog! Can't wait to see your new to the world baby Ronin! 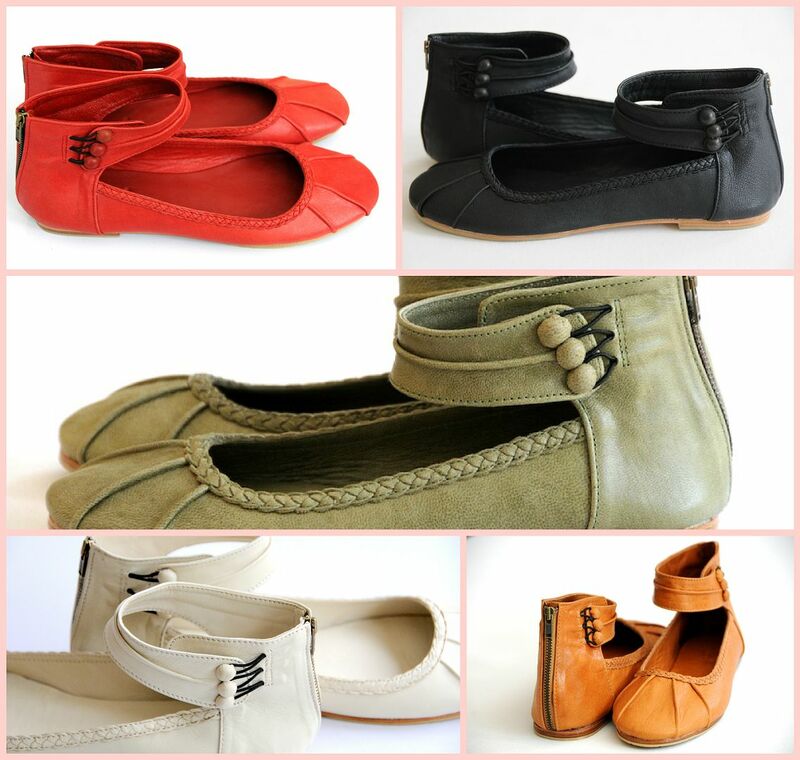 ANN ballet flats are definitely my favorite item! The colored toe is such a cute detail. I wish I could pin it to one of my boards on Pinterest... Alas, I'm still in the process of getting a Pinterest. I left a comment on FB and also liked Elf. Pinned some CUTE Ann flats (: These are AMAZING! I liked ELF on facebook! Love these shoes - already know how often I'd wear them! Liked Elf on FB - which means now I can see pics of their pretty things on my wall! Amazing giveaway! I love the Native in Dark Tan. I LOVE the light tan! What a cute brand, their stuff is so unique and looks well-made. Also, I am a new reader so I have no idea what GFC is... please forgive me! the ELF shoes are so adorable but I also love their bags! And, I'm a follower of yours of course! ^ love it. Heck, I love that entire site as of now. I like Elf on FB! I love the red Muse flats! I mentioned the giveaway on FB and left a link back.